Bring “Passion”, “Excitement” and “Romance” to cars! Since 1974, TOM’S has been bringing “Innovation” in the form of new business developments to the industry, using its unique brand of “tradition” – its racing performance and technical expertise, which it has built upon from the beginning. 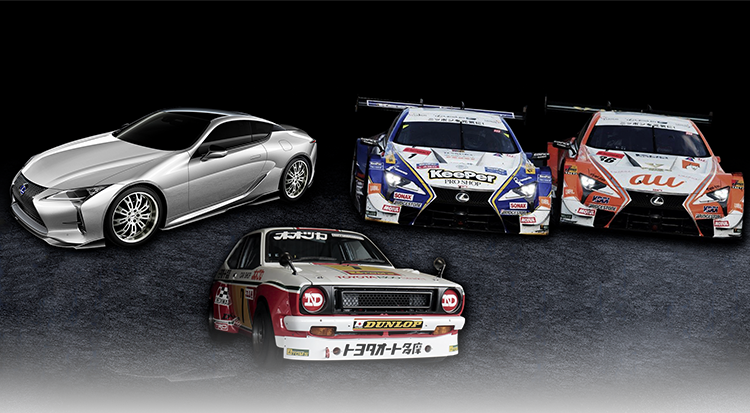 We hope to bring even more exciting cars to you, our fans and sponsors in the future. And, in order to bring “Passion”, “Excitement” and “Romance” to the 7 billion people in the world, we will continue to grow and develop.